What's in HPE's persistent memory? Memory and storage have been separate in computers for decades, but that's changing. Hewlett Packard Enterprise took a step towards merging the two with its new "persistent memory" announced this week. A persistent memory module combines 8GB of DRAM and 8GB of flash in a single module that fits in a standard server DIMM slot. DRAM operates at high speed but it's relatively expensive, and if a server shuts down unexpectedly any data in DRAM is lost. Flash is slower but it's nonvolatile, meaning it retains data when the power source is removed. HPE says its persistent memory modules, known as NVDIMMs, combine the speed of DRAM with the resilience of flash. The NVDIMM has DRAM chips and multiplexors on the front, connected to NAND flash chips on the back. It's not intended to replace external storage; SSDs, spinning hard drives and tape are still best for storing large amounts of data. But it provides a portion of storage that sits on the high-speed memory bus and can retain data if a server crashes. Applications in NVDIMM can run much faster, according to HPE, because data doesn't have to shuttle back and forth between the CPU and storage drives. HPE isn't first to the game. Component makers including Micron Technology and Viking Technology make NVDIMMs, and other server makers are experimenting with forms of persistent memory. But Patrick Moorhead, lead analyst at Moor Insights and Strategy, says HPE has a lead over its server rivals, at least for now. HPE says NVDIMM offers up to six times the bandwidth of SSDs based on the high-speed NVMe (nonvolatile memory express) protocol, and provides up to 24 times more IOPS (input-output operations per second). It plans to start selling NVDIMMs this month as an option with two models of ProLiant Gen9 server, the DL380 and DL360. It needs software makers on board as well. Operating systems need to be aware of NVDIMM to take advantage of it, and while standard applications will see performance gains, the biggest benefits will come to apps that are tuned for persistent memory. HPE has written a driver for Windows Server 2012 R2 that will be available with the new servers. And HPE officials said Microsoft will support NVDIMM "out of the box" with Windows Server 2016, expected later this year. It's also working with Linux vendors and other software makers. The technology isn't cheap. HPE's first 8GB NVDIMMs are priced at $899. That compares to as little as $249 for a standard 8GB DRAM module. The NVDIMMs have a microcontroller and connect to a 96-watt Lithium-ion battery integrated into the server. If a server crashes, the battery provides powers to the module until the data in DRAM has been backed up to flash. The battery can support up to 128GB of persistent memory in a server. HPE believes NVDIMM could benefit applications like databases, where in-memory processing is a fast-growing trend. It says tests have shown up to a 10x boost in database and analytics applications tuned to run on NVDIMMs. Where applications haven't been tuned, it says users will still see a 2x increase in SQL Server database logging, for example. It plans to offer future NVDIMMs that emphasize larger capacity over performance. And HPE officials said Intel may offer its high-speed 3D Xpoint technology in a persistent memory form. It sees NVDIMMs as a stepping stone on the way to future computing architectures. It's Synergy systems, which have a new type of "composable" infrastructure, will all be enabled for persistent memory when they ship. 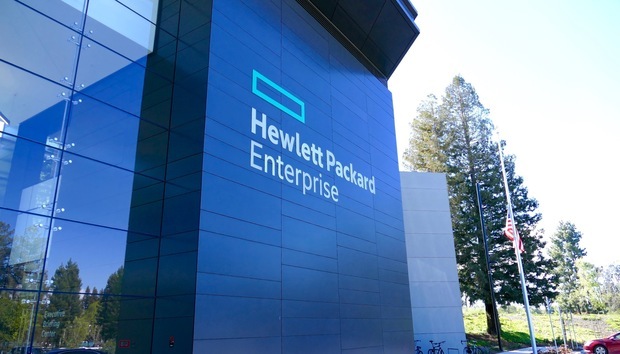 It hasn't given a commercial release date yet for Synergy, but it plans to ship beta units to some customers in May, HPE officials said this week. Further out, HPE's goal is to collapse memory and storage into a single tier using a new technology called memristors. It hasn't given an arrival date for that system, which is calls the Machine.